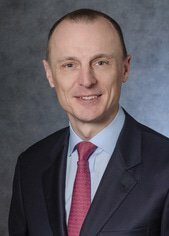 Andy Dietderich is a partner in Sullivan & Cromwell’s General Practice Group, co-head of the firm’s finance and restructuring group and coordinator of its bankruptcy practice. Andy has experience in substantially all areas of corporate legal practice, including M&A, securities, leveraged finance, joint ventures, intellectual property and litigation. His practice focuses on the use of Chapter 11 to resolve balance sheet concerns and complex insolvency-related disputes. He helps companies execute Chapter 11 solutions where no alternative is feasible and avoid insolvency proceedings by advance planning and liability management transactions. Outside of Chapter 11, Andy has helped clients avoid or shorten dozens of insolvencies, and regularly represents corporations, funds and family officers in special situation investments of all types.